Looking for amazing, premium margaritas and delicious Southwestern fare? 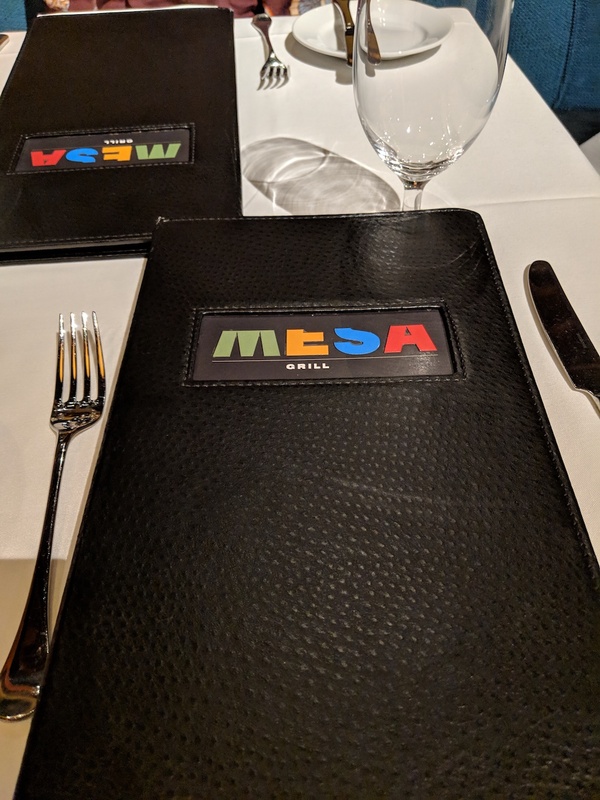 You must check out Mesa Grill in Caesar’s Palace. Owned by celebrity chef Bobby Flay, Mesa Grill is a definite bright spot in the imposing, cavernous casino. We’ve been on a number of occasions, always for lunch as it happens. 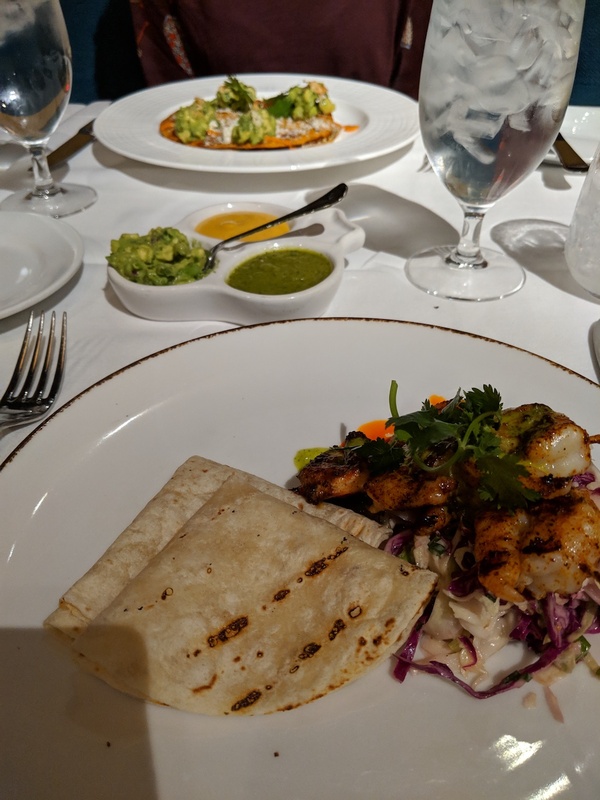 Each time, Mesa Grill has more than delivered a great meal and experience, to the point that it’s become a must-do on our Vegas trips. 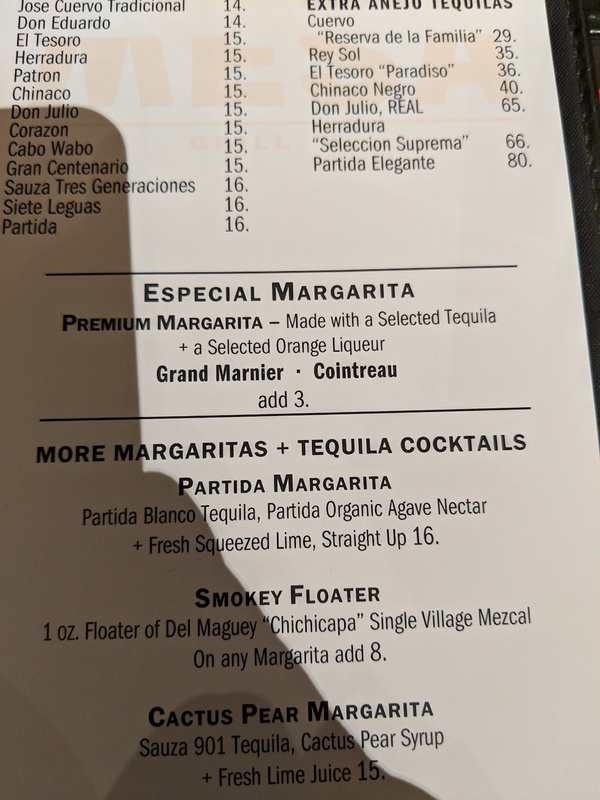 First and possibly foremost there is the margarita menu. 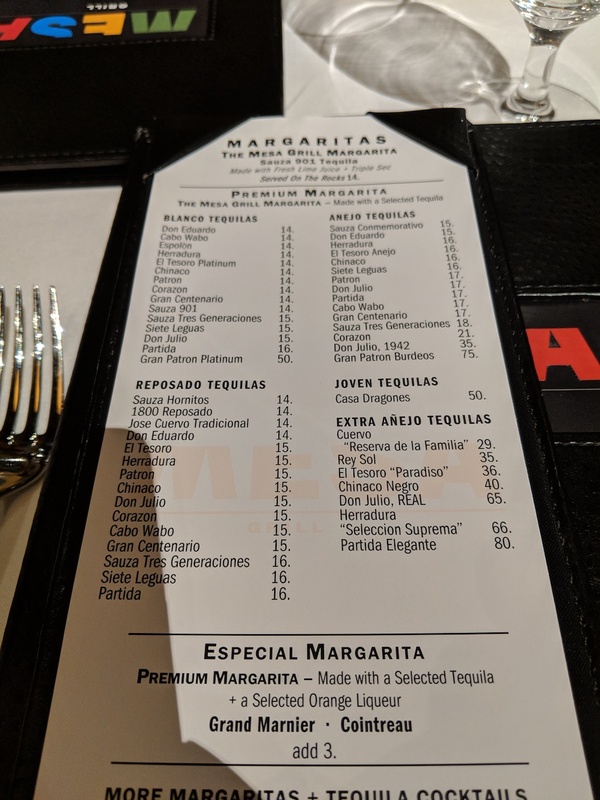 As you can see, what sets this menu apart is the selection of tequilas that are offered. You really can’t go wrong choosing any of them – they are all top quality 100% Blue Agave tequilas. For us, it’s been a matter of coasting along with one of the server’s recommendations, or just selecting something we’ve never heard of or that looked interesting (or both). 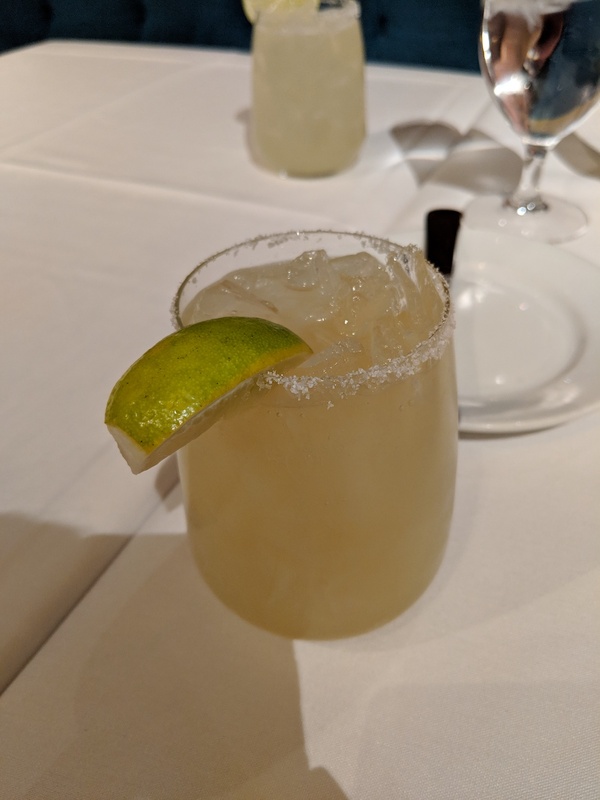 This time around, I had the Partida Margarita. 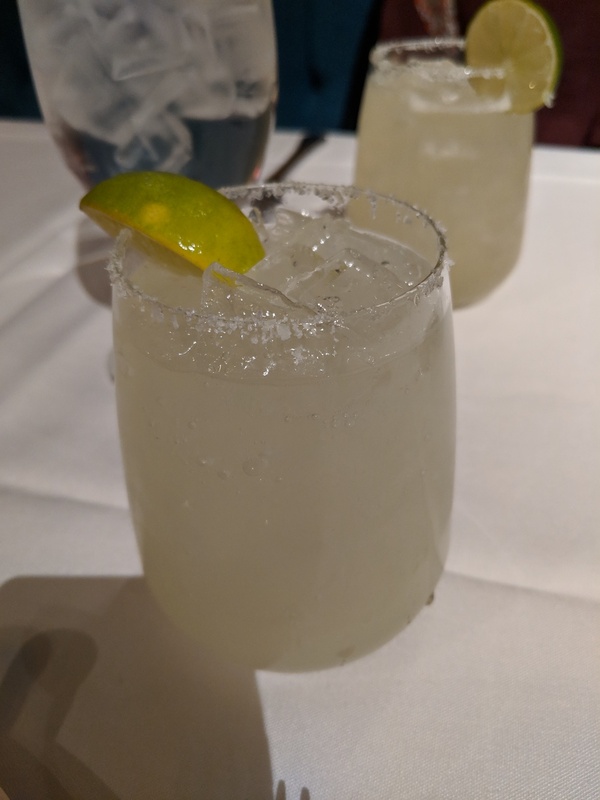 (Correction, I had two Partida Margaritas as I had nothing much planned afterward.) This beverage avoids the simple syrup, triple sec, cointreau, etc. and is sweetened only with agave nectar. I thought it was absolutely perfect and without the added sugary sweetness could fully enjoy the tequila and fresh lime. We were here for lunch, but a leisurely one, so sharing a tantalizing appetizer seemed appropriate. 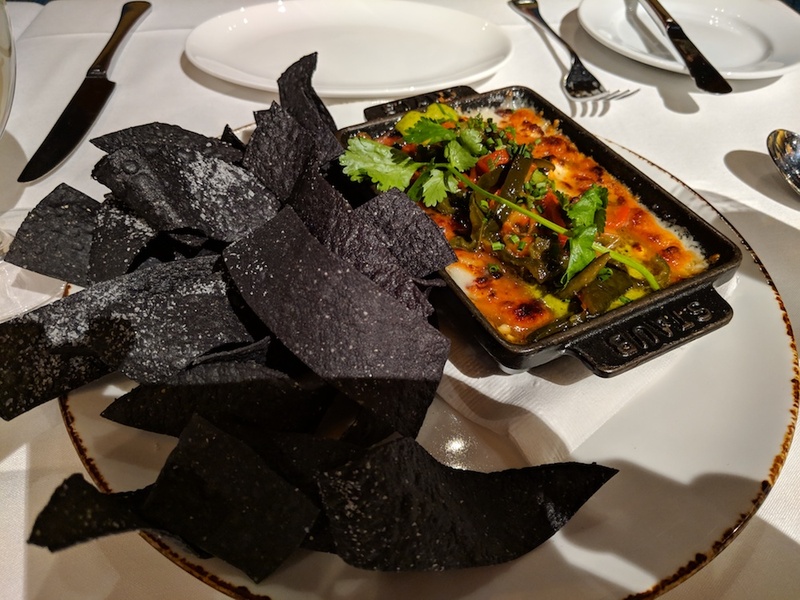 Our server recommended the Queso Fundido, featuring melted, piping hot goat cheese and roasted peppers and a blistered serrano vinaigrette. Blue corn tortilla strips for dipping completed the dish. 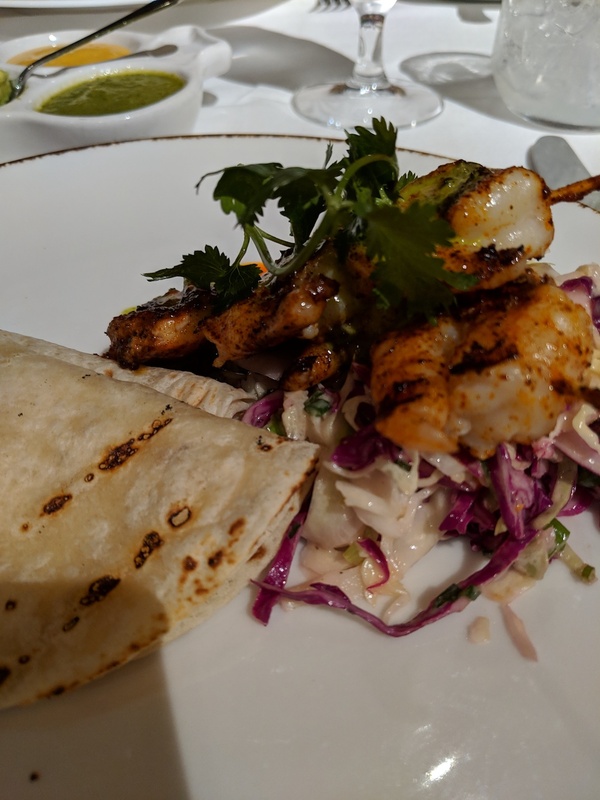 For him – the smoked shrimp tacos with a tasty cabbage slaw, served with guacamole, a vibrant mango salsa, and a fresh tomatillo salsa. The shrimps were presented on skewers and served with grilled tortillas for assembly. I chose another appetizer for lunch, and the portion was more than ample: the smoked chicken and black bean quesadilla. 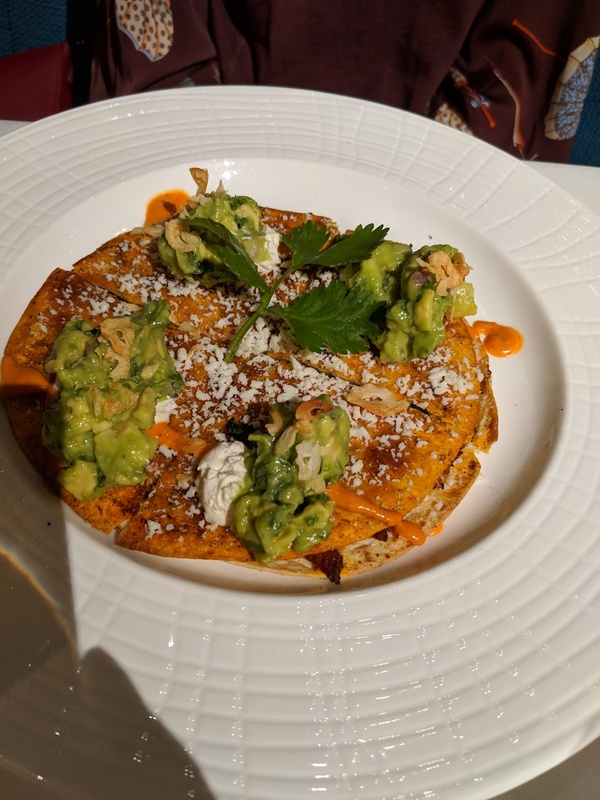 Topped with a beautiful guacamole, fried garlic slices, and garlic creme fraiche, it was an excellent and very filling choice. We’ve never ventured over here for dinner but based on several lunch visits, we’re sure it would be a fantastic option. Service is excellent, the food and flavours very appealing, and the quality of tequila and margarita selections truly unparalleled. Not a frugal option by any means (price, quantity), but well worth it. I’d also like to note that we had absolutely no problem getting a table at lunch time on this recent visit – in fact, the restaurant was very quiet. Time of year was early December which could certainly be a factor. In the past, we have encountered a wait (still worth it! ).